Working farm, producing well, making money right now. Contracted with Mountaire. Became operational in April 2016. 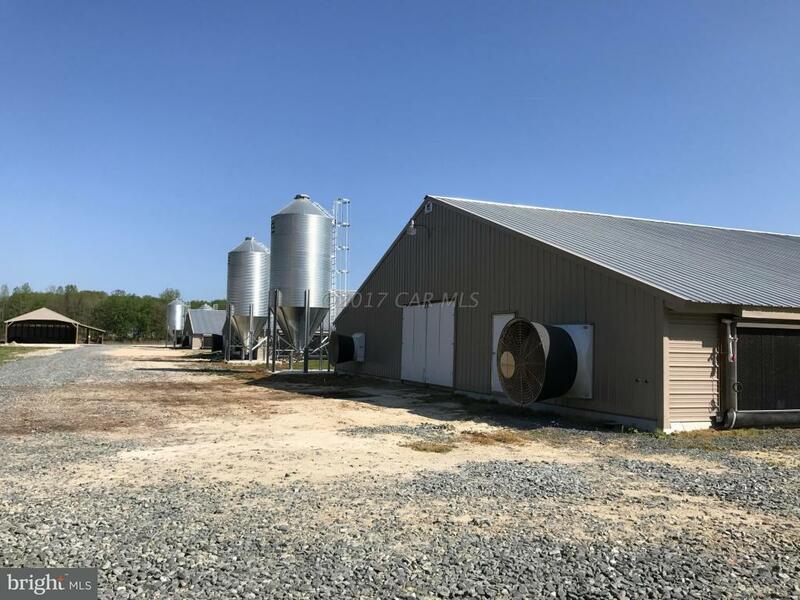 Six Northeast-Ag built chicken houses - 5 houses are 60 x 600 and 1 house is 60 x 580 (214, 800 SF +/-). Choretime Equipment and Choretronics III Controllers. Two generators. Six wells. Big garage/workshop. Three bedroom home. Very good opportunity. Farm Remarks: Contracted with Mountaire Farms. Six Northeast-Ag built chicken houses - 5 houses are 60 x 600 and 1 house is 60 x 580 (214, 800 SF +/-). Choretime Equipment and Choretronics III Controllers. Two generators. Six wells. Big garage/workshop.